Above: With her husband, Theologos Sevastos. 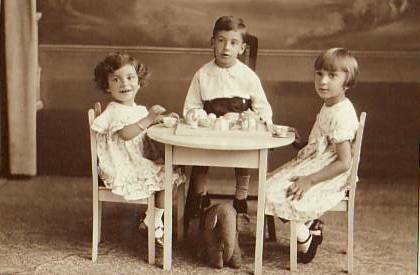 Above: Her three children, Kanoula, Dimitrios and Hariklia. Above: Outside the family home. 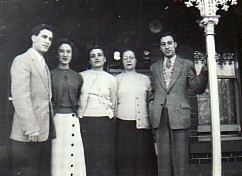 From left, they are: her son-in-law, Christos Klidaras, her daughter, Hariklia; Christos’ sister, Klio; herself and her son, Dimitrios. 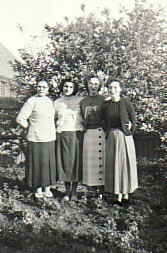 Above Right: From left they are: herself, Klio Klidara and her daughters, Hariklia and Kanoula (Carmel).